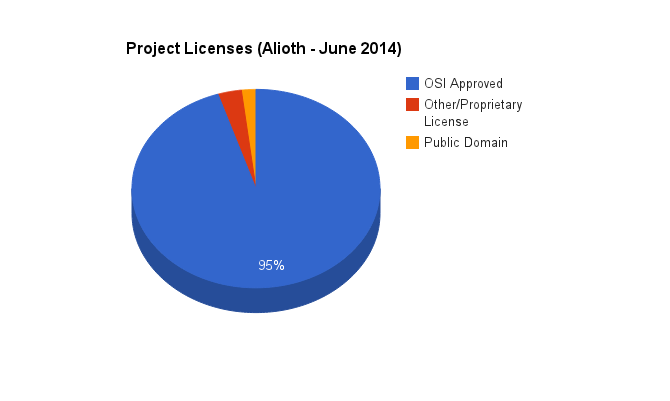 This chart shows the top licenses used by projects in Alioth. 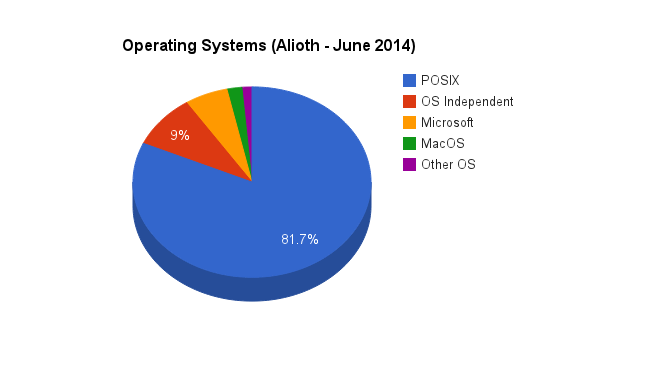 This chart shows the top operating systems used by projects in Alioth. 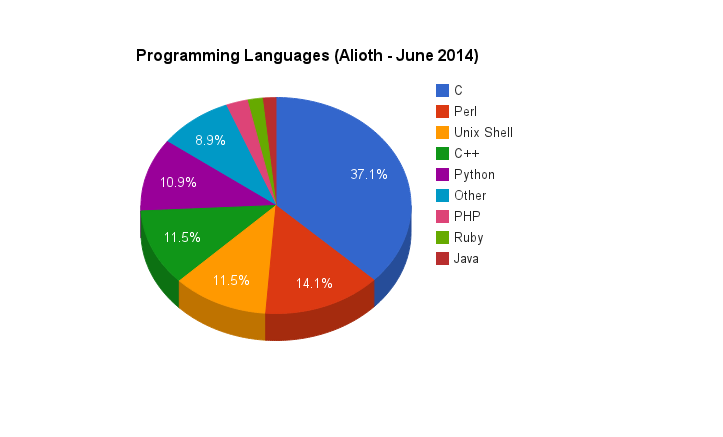 This chart shows the top programming languages used by projects in Alioth. 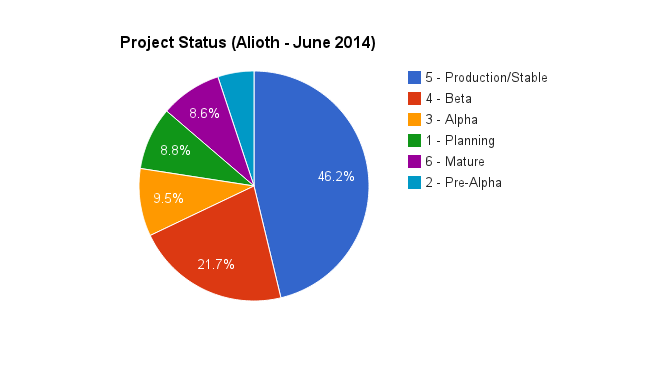 This chart shows the status breakdown of Alioth projects. Alioth is a Debian-centric code forge. We collect the information about projects hosted on this forge. 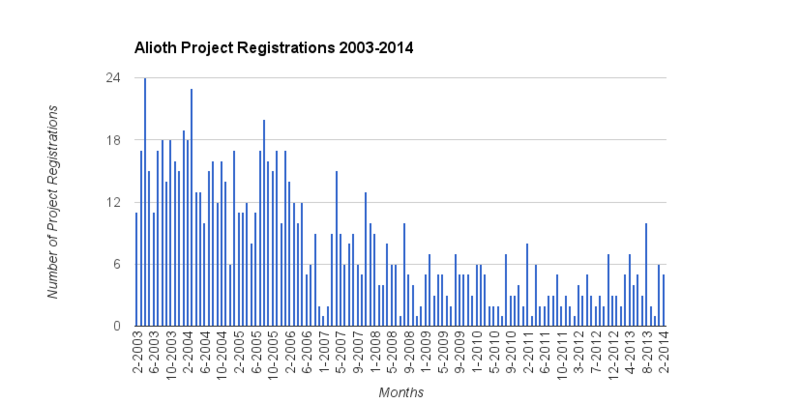 This chart shows the creation of new projects on this forge from 2003-2014. The datasource_id used is 8084. Some new forge data has been released collected 04-Mar-2014. December data has been released. We have a few old standbys (fc, rf, ow, sv, al) and some hot fresh data as well. What is new, you ask? Well, we have some IRC chat log data for the Apache project Camel . A nice new social data set, all parsed and organized into relational database format for you to query. Alioth is a Debian-centric code forge. We collect the information about projects hosted on this forge. This chart shows the creation of new projects on this forge from 2003-2012. The datasource_id used is 325. We're cruising ahead with January 2012 releases. Grab the data from Google Code site or from the teragrid.